They had to publish that in Australian media. The company has been under attack by consumer associations all over Europe because of their bogus claims and pseudo-scientific mumbojumbo, but this seems to be the first time in which a regulatory authority has made them admit that their claims are a simply a fraud. 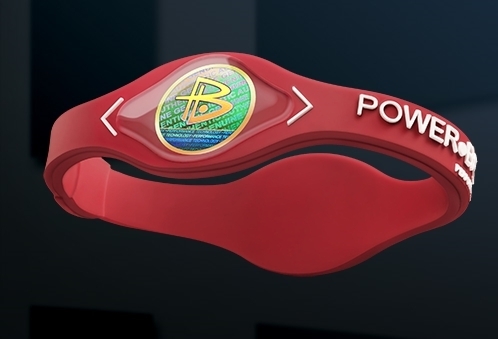 The whole PowerBalance and similar magic wristbands swindle reminds me of the old magnetic wristbands my grandma used to wear in the 80s. Those were able to cure anything, from rheumatism to diabetes and, like this modern powertrickery, they made people feel better because the metal vibrated in the same frequency as the planet does, whatever that means. Of course, these pseudo-scientific amulets have been made and distributed since the beginning of civilization. From magic stones to sanctified pendants made of holy chicken bones, charlatans have been devising miraculous devices to take advantage of often desperate people. These are just fancier versions of those, used by a new generation of gullible people. But that doesn’t mean the governments should stay still and not do anything. Like in Australia, the US and the European Union should smash all these companies and prohibit their misleading commercials. The story is now a trending article on Twitter!! !